The new Rakser Sloop 7.10 in Greece and Bulgaria from NorthSailing. The popular boat of Kutlay Marine has a strong structure, is designed retro-style to offer big and comfortable cockpit. At the same time it offers fuel saving, as it has inboard diesel engine. It is offered in two editions, private and professional. Rakser Sloop 6.95 edition refers to individuals for recreation and fishing, as far as its equipment satisfies even the most demanding persons. Rakser Sloop 7.1 edition refers to professionals for charter in daily cruises, with guaranteed fare management plan. The boat has one cabin, wc with holding tank, kitchen with gas and may accomodate up to 8pax. The captain of the boat is not obliged to possess license. It is perfect for use in the Greek coastline and islands, as the low cost of maintenance makes it a profitable investment. 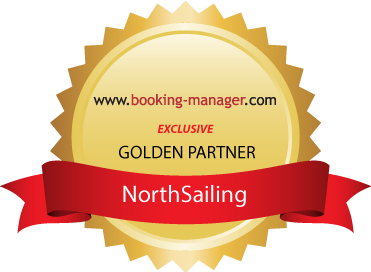 North Sailing is the official agent of Kutlay Marine in Greece and Bulgaria. Ask for our offer and take advantage of the current discounts. Available for private and professional use, with guaranteed fare management plan.